By Kenny Bruno, Beth Handman and Antonia Bruno, co-authors of the Josie Goes Green series. Beth is the Assistant Principal at P.S. 321 in Brooklyn and Kenny and Antonia are activists in the environmental movement. We wrote the Josie Goes Green book series because we were inspired by kids in our neighborhood who are enthusiastically taking action to protect the environment. In our experience in both environmental activism and in the public schools, we have found that young people have a moral authority and authenticity that is hard to resist. Although there is no singular recipe for cooking up a young activist, here are some common steps that inspire kids to take action. Find something your kids really care about. If a kid has suffered, or know someone who has suffered, from an injustice, violence, disease, or pollution, they are going to be determined to do something about it. Kids are also drawn to animals and nature, and have an instinct to protect the beauty they believe is part of their world. Kids quickly realize that their actions are connected to things they care about. Sometimes problems seem overwhelming. If kids believe the only solution is a new federal law, or electing a different president, they might lose their mojo. But there’s always something important they can do on a smaller scale. In our neighborhood, kids are going around to stores and persuading owners to stop using disposable bags. 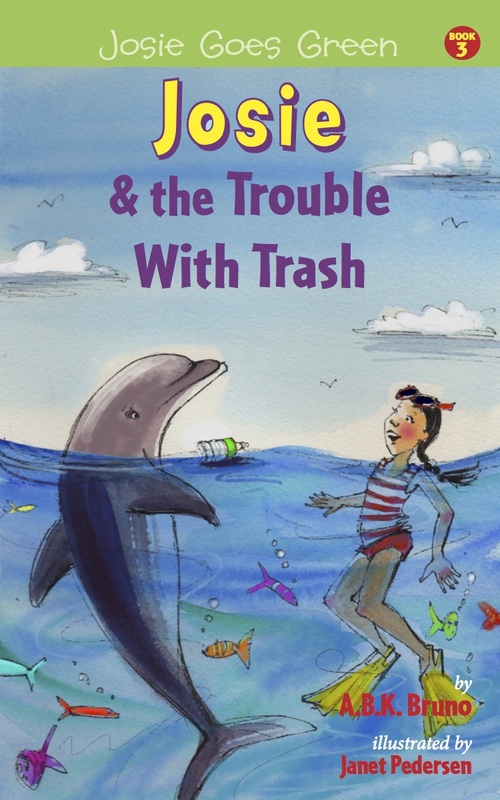 We adapted that real-life example in Josie and the Trouble With Trash, in which the kids persuade store owners to stop selling disposable water bottles, and more. Social action is sometimes defined as what an individual can do – turn off the lights, recycle, give to charity. But coordinated action is so much bigger. In our Brooklyn neighborhood school, the kids do a giant Walk-a-Thon and raise thousands of dollars for green groups. In all the Josie books, Josie starts by recruiting her friends to the cause. And then, through meetings, flyers, and fundraisers, they take their message to the neighborhood….and then to the world. Activism is more fun with friends! Teachers and parents can be a great support to kids who want to be activists. They can encourage them and help trouble shoot when conflict arises. They can let their kids know how incredibly proud they are of their actions. And they can model activism themselves. The potential growth for kids and for our communities is immeasurable.